I propose some simple tests that all of us may take to determine if we are true to the faith. They consist of a few basic questions, all of which must be answered correctly in order to gain the full blessings of the gospel in this life and inherit eternal life in the realms ahead. And we may well ask ourselves: Do we believe all of the doctrines of salvation? Are we keeping the commandments? Are we valiant in the cause of truth and righteousness? Will we be saved in the kingdom of God? There is no salvation in worshiping a false god﻿—neither a cow; nor a crocodile; nor a cedar post; nor even a spirit essence, without body, parts, or passions, that fills the immensity of space. He is the Father of spirits with whom we dwelt before the foundations of the earth were laid. He is our Father in Heaven, who ordained and established a plan of salvation by which his spirit children might advance and progress and become like him. He is a glorified and exalted being in whom all fulness and perfection dwell, who knows all things and has all power, all might, and all dominion. There is no salvation in a system of religion that rejects the doctrine of the Fall or that assumes man is the end product of evolution and so was not subject to a fall. True believers know that this earth and man and all forms of life were created in an Edenic, or paradisiacal, state in which there was no mortality, no procreation, no death. By his fall, Adam introduced temporal and spiritual death into the world and caused this earth life to become a probationary estate. I am a witness that he was lifted up upon the cross of Calvary; that he was crucified, died, and rose again the third day; that he ascended into heaven, where, sitting on the right hand of God, the Father Almighty, he now reigns in everlasting glory; and that he will soon come again among the sons of men. I know that he is the one Mediator between God and man; that he brings to pass the immortality and eternal life of man; that his is a ministry of reconciliation whereby fallen man can be reconciled with his Maker. I know that salvation is in Christ and that only by faith in his name can we hope for the riches of eternity. He is my Brother and Friend, but he is more. He is my Lord, my God, and my King, whom I worship in the full majesty of his Godhead and who will continue to be my Savior, my Redeemer, and my God through all the eternities that lie ahead. As there is only one God and one Savior, so there is only one salvation, one strait and narrow path leading to eternal life, one way in which the grace of God can be poured out upon us mortals in full measure. To gain salvation all men everywhere must have faith in the Lord Jesus Christ. They must repent of their sins and be baptized by a legal administrator who has power to seal on earth and in heaven. They must receive the gift of the Holy Ghost, be sanctified by the power of the Spirit, and keep the commandments of God all their days. Be it known to all men, let it be proclaimed by the very trump of God, let angelic choirs sing of its wonders and glory, let all the hosts of men stand in awe as the voice from heaven declares that God has in these last days restored the fulness of his everlasting gospel. Let every eye see, every ear hear, every heart be penetrated﻿—for the voice of God is heard again. Angels again are coming from the courts of glory to declare eternal truths to mortal men. The gift of the Holy Ghost is being poured out upon the faithful, and thousands again shout praises to the Holy One of Israel. Hear it, all ye ends of the earth. God has spoken; the heavens have been opened; we have his gospel; keys and powers are again vested in men; and all men are invited to come, without money and without price, and feast upon the good word of God, for salvation is free. Am I keeping the commandments of God? Do I love and serve him with all my heart, might, mind, and strength? There is no such thing as gaining salvation from a false god, or by conforming to a false plan of salvation, or through membership in a false church. Truth﻿—pure, diamond truth﻿—truth unmixed with error, truth and truth alone can lead a soul to salvation. In the days of Jesus, wicked and evil men separated themselves from the true Christians by defaming the name of Jesus and cursing him as a false prophet. In our day the same approach is made by ill-disposed persons to the name of Joseph Smith. The way men feel about him and his prophetic successors divides true believers from those who serve another master. Why will it ever be thus? Because Joseph Smith is the restorer of the knowledge of Christ and of salvation; because he translated the Book of Mormon, which contains the fulness of the gospel; because he received revelations as numerous and glorious as those given to Moses and Isaiah; because angelic ministrants gave him keys and powers and priesthoods, which enabled him and his successors to bind on earth and have their acts sealed everlastingly in the heavens﻿—all these are but a few of the reasons why we honor the name of Joseph Smith. I, for one, want to seek counsel, and authority, and blessings constantly from the hands of such a man! It was echoed by his associates and might well be revived among us. The kingdom of God on earth is The Church of Jesus Christ of Latter-day Saints, which prepares men for an inheritance in the kingdom of God in heaven, which is the celestial kingdom. When we put first in our lives the things of God’s kingdom, we are speaking of the earthly kingdom which prepares us for the heavenly kingdom. With us, in this life and in the life to come, it is and should be the kingdom of God or nothing. On every issue it behooves us to determine what the Lord would have us do and what counsel he has given through the appointed officers of his kingdom on earth. 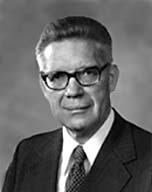 No true Latter-day Saint will ever take a stand that is in opposition to what the Lord has revealed to those who direct the affairs of his earthly kingdom. No Latter-day Saint who is true and faithful in all things will ever pursue a course, or espouse a cause, or publish an article or book that weakens or destroys faith. There is, in fact, no such thing as neutrality where the gospel is concerned. If we do not sustain and uphold and support the kingdom of God in all things, we are thereby aiding a cause other than the Lord’s. Only the valiant are saved. Members of the Church who are not valiant in the testimony of Jesus, not valiant in the cause of Christ, not valiant in defense of his prophets and in preaching his word are not heirs of the celestial kingdom. This is our goal and aim and purpose in life. Everything we do should please the Lord and further our strivings for salvation. And, the Lord be praised, there comes a time in the lives of faithful Saints when, having kept the faith and been true and faithful at all hazards, the Lord says to them: Thou shalt be exalted. These, then, are a few of the many tests of true discipleship. The Church is like a great caravan﻿—organized, prepared, following an appointed course, with its captains of tens and captains of hundreds all in place.